Migrant labour has been an integral part of the political economy of South Africa since the late nineteenth century. The migrants were drawn from various parts of the country subsequent to the processes of systematic dispossession and the imposition of various racist legislation which prioritised the use of cheap labour. These workers were also drawn from various parts of southern Africa. However, their experiences in the broader South African memory and heritage landscape have been dwarfed by the master narrative of the national liberation struggle. 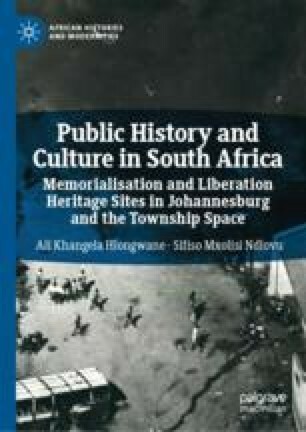 This emerges clearly when a cursory look is taken of the transformation of the South African memory and heritage complex since 1994. The transformation processes have taken many complex forms in ‘post-apartheid’ South Africa—including the ongoing renaming of streets and symbolic built infrastructure like buildings and dams; the building of new museums/interpretation centres particularly in historically African townships like Red Location in Port Elizabeth, Sharpeville Centre in Sharpeville, Hector Pieterson Memorial and Museum in Soweto; the conversion of struggle personalities home into museums like those of Nelson Mandela and Winnie Madikizela-Mandela, Solomon Mahlangu’s parents’ home in Pretoria and Steve Biko’s parent’s home in Ginsberg; as well as the making of monuments to commemorate specific events like the Women’s March of 1955, and struggle leaders like Sol Mkhize in Sol’s Ville in Driefontein Mpumalanga and Sol Plaatje in Kimberly, Northern Cape among many others. Consequently, this chapter addresses this shortcoming and focuses on the history of worker struggles across the decades and zoom to the story of the Workers Museum in the Newtown Cultural Precinct in Johannesburg. The Workers Museum is explored side by side with the diverse collection of public art and memorial commemorating worker struggles in the inner city of Johannesburg.